BOSSES at Rangers Football Club are preparing for another High Court battle over a merchandise deal with Sports Direct and Newcastle United boss Mike Ashley. Three months ago, a judge ruled that Rangers’ bosses had breached the terms of an agreement made with a company in the Sports Direct group. Mr Justice Teare concluded that they had made a new agreement with another firm, the Elite Group, without giving Sports Direct managers a chance to match that company’s offer. He said Rangers had lost and would therefore pick up all lawyers’ bills run up during that fight – a total of more than £400,000. 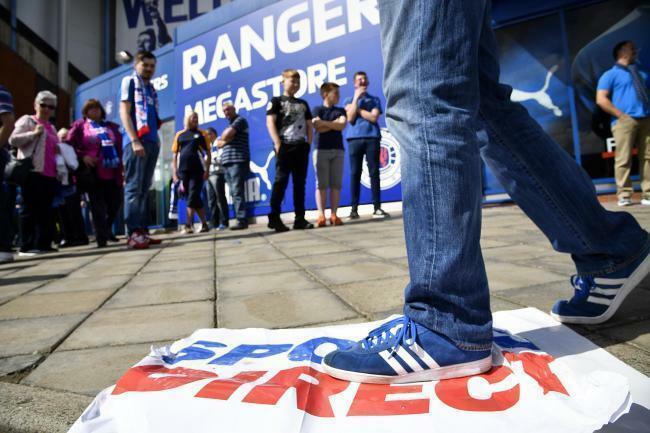 Sports Direct bosses have now made further complaints relating to other agreements involving Rangers and Elite and Rangers and Hummel. Rangers bosses dispute claims made against them and a judge is scheduled to analyse evidence at a High Court trial in London on April 12. A judge is expected to make decisions about any damages Rangers might have to pay after that trial. Judge Lionel Persey on Friday made rulings on a number of legal issues in the latest round of the litigation following a preliminary hearing in January. He heard that further lawyers’ bills running into many hundreds of thousands of pounds were like to be run up by the time the trial ended. The judge said Sports Direct alone were budgeting for more than £400,000.